Composer Nickitas Demos (b. 1962, Boulder, Colorado) holds a Doctor of Musical Arts degree from the Cleveland Institute of Music and Case Western Reserve University, a Master of Music degree from the Indiana University Jacobs School of Music and a Bachelor of Music degree from the University of North Carolina at Chapel Hill. His principal teachers were Donald Erb (1927-2008) and Roger Hannay (1930-2006). 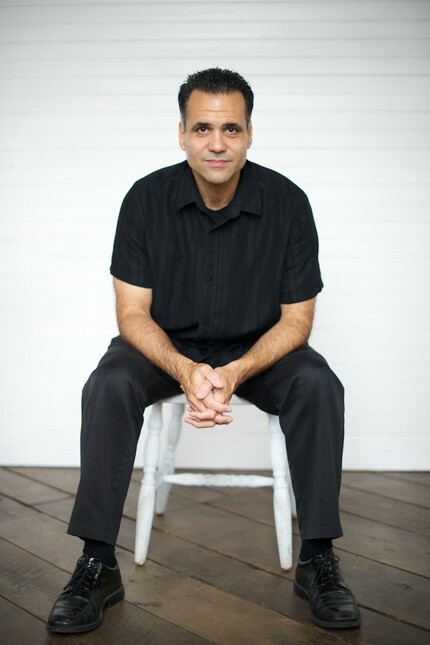 His music is influenced by a rich blend of Greek folk rhythms, Byzantine chant as well as jazz and pop music and has been described as “…emotionally direct and powerful…” (MusicWeb International) and as “…substantive…accessible and personal, not derived from any ‘-ism.’ ” (ArtsCriticATL.com). His commissions include works for the Cleveland Orchestra, Atlanta Ballet, Nashville Chamber Orchestra, Atlanta Chamber Players, the Georgia Music Teachers Association and the National Association of College Wind & Percussion Instructors. 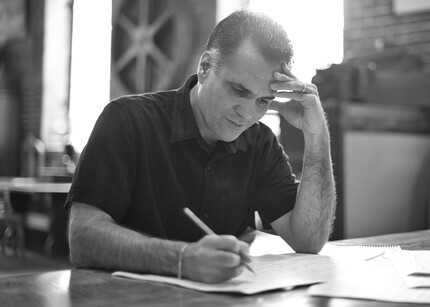 Demos is the recipient of numerous grants and awards including Finalist for the American Prize in Composition - Orchestra (2016); Semi-Finalist in the 2015 Rapido! Composition Competition; a MacDowell Fellowship (2012); Grand Prize in the 2004 Millennium Arts International Competition for Composers; Grand Prize in the 2005 Holyoke Civic Symphony Composition Competition; Birmingham and Atlanta Prizes in the Hultgren 2005 Solo Cello Works Biennial Composition Competition; and 20 ASCAP Awards among others. His works have been programmed at festivals, symposia and conferences including the 43rd Dimitria Festival (Thessaloniki, Greece); the 18th International Review of Composers (Belgrade Serbia); the International Festival – Institute at Round Top (TX); the Ernest Bloch Music Festival (Newport, OR); the New Music Forum Festival of Contemporary Music (San Francisco, CA); and at National and Regional Conferences of the Society of Composers, Inc. (SCI) and the College Music Society (CMS). His music is self-published through Sylvan Lake Press (ASCAP) and has been recorded on Ablaze Records, Albany Records, MSR Classics and Capstone Records. Currently, Demos holds the positions of Director of the Georgia State University School of Music, and Coordinator of Composition Studies. He is the Founder and Artistic Director of the neoPhonia New Music Ensemble and serves as the Director of the Center for Collaboration & Innovation in the Arts (CENCIA) within the Georgia State University College of the Arts. He served on the Executive Committee of the Society of Composers, Inc. from 2005-2014 as Coordinator of Student Chapters and on the Board of Directors for the MacDowell Colony from 2013-2016. Demos is a Co-Founder and Artistic Board member of the SoundNOW Contemporary Music Festival founded in 2016 and is also the Musical Director of the Greek Islanders, an ethnic ensemble he founded in 1982 specializing in Greek folk music. Photos on this page by Teresa Penley Sheppard.